BEAUTY MYTH BUSTERS AND OTHER THINGS YOU THOUGHT YOU KNEW! As we consistently introduce new beauty products, we feel it’s only right that we share some of our makeup, skincare and all round beauty knowledge with the world. BB Cream: Used to create a flawless base, designed to wipe away wrinkles, pores and uneven skin tone with an airbrushed finish. BB creams such as our Invisible Fill and Whipped BB Moisture Fill are ideal for sensitive skin types and provide a lightweight alternative to foundation to hydrate, prime, conceal, treat and protect skin with many containing SPF. Brow Pencil, Gel & Mascara: A Brow pencil/crayon, gel or mascara is one of the easiest ways to enhance your eyebrows by shading with a colour lighter than your natural brow colour. CC Cream: Similar to a the lightweight coverage of BB cream a CC cream works to colour correct, conceal and clean open pores for a super smooth look. Our own anti-ageing mineral CC is the ideal companion to any mineral makeup powder. Concealer: Concealers are used to cover under eye circles, uneven skin tone and blemishes. Purchased in palettes or tubes concealers can be tinted green to neutralize the red. Pink or orange to neutralize dark blue or purple tones. Eyelash Primer: Eyelash primer is a clear or white mascara-like product that’s applied to eyelashes to enhance thickness and length. Our 3d Lash Extension Primer is ideal for thin, sparse, brittle or breaking lashes. Eyeliner Gel: There are many types of Eyeliner including liquid, pencil and Gel. Gel liners come in small pots and are meant to be used with eyeliner brushes, giving you incredible precision and a smooth, gliding application such as our Superlong Wear Gel Mineral Face Colour. Eyeshadow Primer: If you’ve got oily eyelids or a long night of makeup ahead of you, an eye primer is a must. Designed to keep shadow in place these primers have great staying power and will allow your shadow to be applied more smoothly. Face Primer: Applied underneath your foundation, face primer is applied to clean, dry skin before any makeup for a flawless canvas. Designed to address the concerns of blotchy skin or makeup that seems to change colour or slip away during the day a primer will help absorb excess perspiration and skin oils. Foundation Brush: Foundation brushes are to be used with liquid foundation for a streak-free finish. Heated Eyelash Curler: A battery-operated device that heats up for about 15-20 seconds and creates a bright, youthful, wide eye. Our iCurl uses 2 heated silicone pads to curl at the base and the tip leaving a long lasting 90 degree curl. Highlighter: Also known as luminizer, highlighters should be used to highlight the apples of the cheeks, bridge of the nose, cupid’s bow and the inner corner of eyes as natural light would. Kabuki Brush: A Kabuki brush is a wide, large base brush that is perfect for powder bronzers, shimmers or blush and is designed to evenly distribute powder. Lash Enhancer Serum: To grow longer lashes a lash enhancer serum should be used. Our 4D Secret Lash Evolution Serum is ideal for eyelashes that are sparse, thinning, or falling out and is formulated with ingredients that promote the growth of lashes while conditioning existing eyelashes. Lip Crayon: These lip items are commonly a twist-up crayon. Formulated as a sheer lip balm or stain such as our Glossy Kiss Lip Cheek Colours are, they can be used to line the lips and are a more sanitary option than a pot of lip balm. Lip Plumper: Lip plumbers enhance the blood flow in the lips, delivering a tingling sensation that translates to a fuller pout such as our Velvet Lip Lift Moisture Shine Lip Plumpers. Lip Stain: Lip stains comes in a liquid form and dry to a sheer wash of intense colour such as our Lip Bombs. Liquid Eyeliner: Liquid liner comes in a thin tube with a short, pointed brush for application such as our Secret Weapon 24Hr Eyeliner which is the ideal, smear proof, sweat proof and even sleep proof natural organic wax formula. Mineral Powder: A loose foundation powder made with minerals, allowing your skin to breathe without clogging pores or causing a shiny effect. Acne Treatment: Typically in a gel or cream form, an acne spot treatment should be applied to a particular problem area and in conduction with recommended cleansers and serums such as our Power Clear System insists. Dark Spot Corrector: Dark spots are caused by acne scars, sun damage, and genetics and dark spot correctors work to even out your skin tone and have lightening agents that work with pigmentation issues to even out skin. Exfoliating Powder: An exfoliating powder is a gentle way to treat congested and enlarged pores as well as dull, uneven and rough skin. After cleansing your face, mix the powder with water to create a thick paste. Massage the paste into your skin for about a minute, and rinse. Eye Cream: Eye creams are designed for dark circles, puffiness, and brightening and should be allowed to set for a minute or so once applied to the eye area before makeup is added. Face Peel: There are many different kinds of face peels for everything from acne-prone skin to uneven skin tone, and the formula works to exfoliate the top layer of skin while making the cell regrowth occur faster by removing dead skin cells and allowing a stronger penetration of creams and serums. Liquids, creams and mousses will last around 6 months before they need to be thrown away. Powders, concealers, blush and bronzers will last a little longer and range from about 12-18 months at most. And remember your makeup sponges need to be washed after using and should been thrown away after 1 month of use. 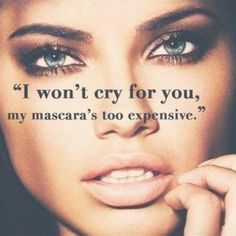 Mascaras should be thrown away every 3 months, if they last you that long. Shadow and pencil liners will last roughly 18 months, while liquid eyeliners should be used for up to 6 months at most. Lipstick and gloss can last up to 18 months while lip liners will last you 1 year. we have brand new launch stay tuned!